“One or two missing teeth are no big deal.” In reality, your teeth do far more than allow you to chew food. They also play a vital role in giving your face and jaw their normal, healthy shape. Even a single missing tooth can cause jaw bone erosion, a progressive problem that requires reconstructive surgery to correct. “Dental implants are no better than dentures.” Actually, implants offer benefits that dentures cannot provide. This is because the implant actually fuses with your body, creating a true long-term replacement for a missing tooth. Standard dentures, on the other hand, require messy adhesives and can come loose at the worst possible time. “Dental implants are just too expensive.” The costs associated with implant therapy have gone down significantly over the last 10 years, due to advancements in technology and techniques. There has never been a better time to consider implant therapy. 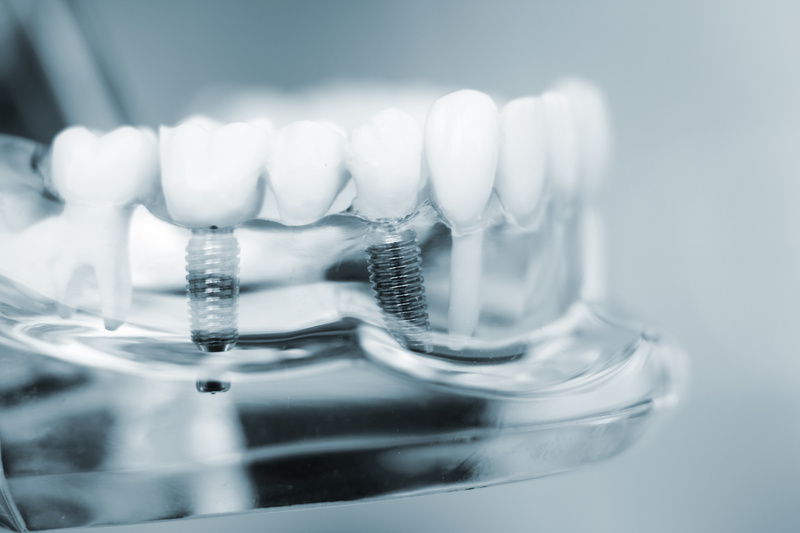 “Dental implants are painful.” This myth is based on the inaccurate and obsolete information. Modern dentistry uses state-of-the-art medications to ensure patient comfort throughout the procedure. Also, you can choose to be anesthetized during the surgery, enabling you to sleep through the process. “Dental implants can cause sinus infections.” Like number four, this myth is also based on obsolete information. Modern dentists use cutting-edge digital imaging technology to achieve a degree of precision unimagined just a few years ago. There’s no need to worry about an implant infecting your sinus cavities. “Dental implants can’t help you if you’re missing several teeth.” Implant dentistry can replace multiple teeth all at once while avoiding the limitations imposed by crowns and bridges. In fact, implants can help your natural teeth to stay healthy and whole, avoiding the need for extractions or fillings. “Implants just don’t last.” Not only do implants have a better than 95% success rate, but they can also last up to 20 years with daily oral care. By this, we mean regular brushing and flossing, avoiding sweets, staying away from tobacco products and seeing your dentist for regular checkups and cleanings. In other words, the things that all of us should be doing anyway, whether or not we have implants. Don’t let myths about dental implants keep you from enjoying better health. Make an appointment today to talk to a dentist in Plano about implant therapy. He or she will perform a complete oral health evaluation, giving you the information you need to decide for yourself. The facts you learn may be just what you need to put a big smile on your face. Dr. Tatyana Romanoff earned her DDS degree from the University of Colorado School of Dental Medicine. She is specially trained in both laser and implant procedures. You can reach her office, Legacy Trails Dental, located in Plano, TX online or by calling (214) 227-1000.